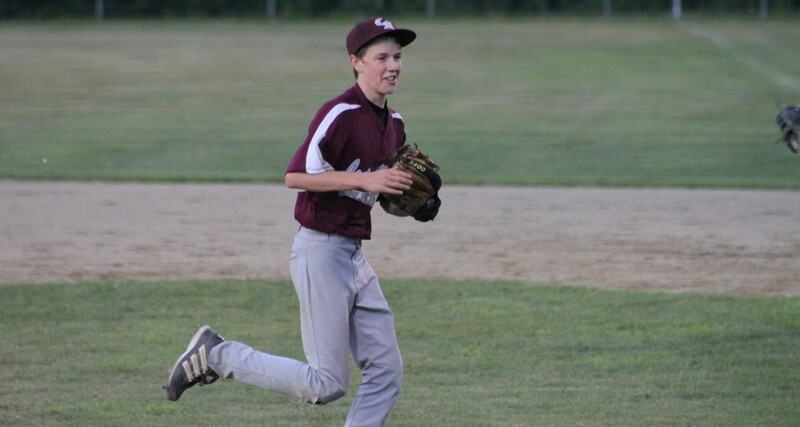 Central Maine pitcher Ben Smith is all smiles after pitching a 5-inning three hitter against Somerset. Central Maine will try to win another title on Sunday night. (Harrison ME) Central Maine made it look easy. 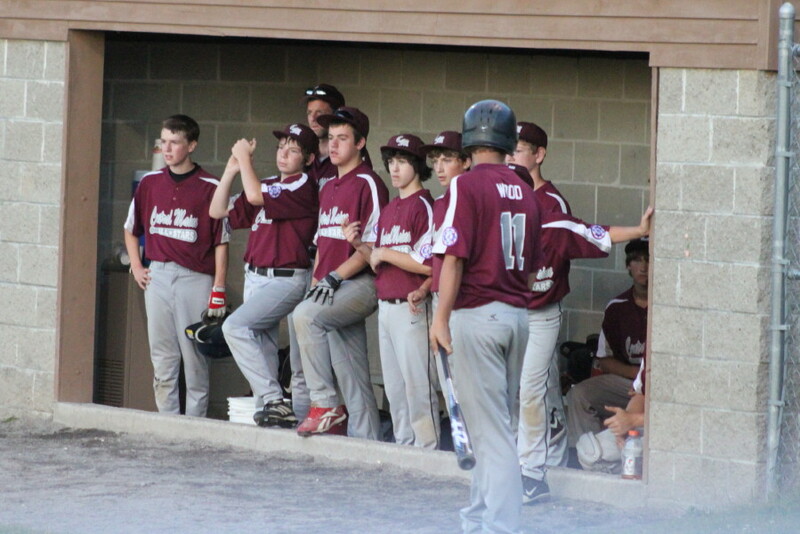 The Owls were mercy rule winners over Somerset, 12-2, in 4 ½ innings on Friday night in the Babe Ruth 13-year-old’s state baseball tournament at RADR Field in Harrison. CM is now the lone undefeated team and will have a chance to win another title (they won last year) with one more victory on Sunday. This is a double elimination tournament so even if the team from Waterville/Winslow should lose the 4PM game they would have a second chance in the 7PM game that night. Central Maine was solid in all facets of the game. You want pitching? Ben Smith pitched a three-hitter and struck out four. Looking for defense? 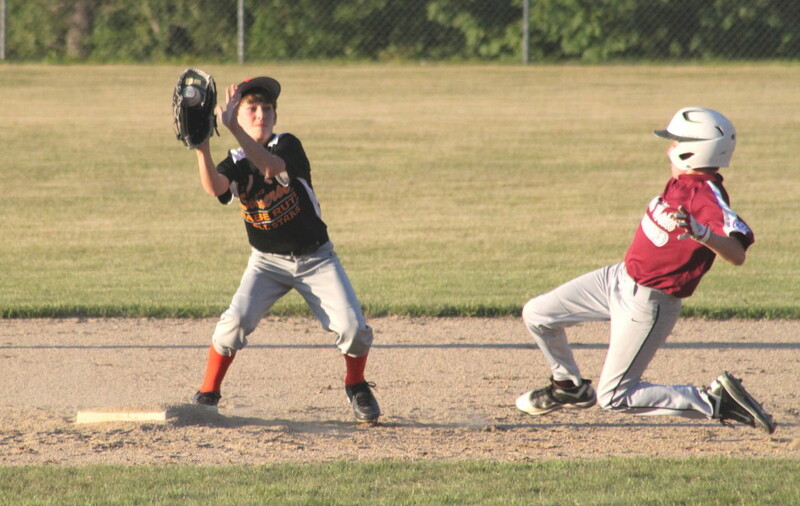 CM’s defense committed no errors and nearly turned an infield double play. 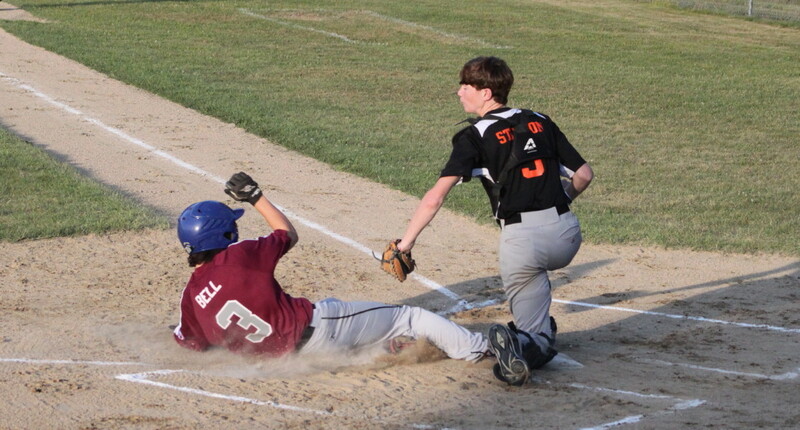 Sam Bell slides in with the second Central Maine run. How about offense? CM was held hitless by Will Stinson in the 4th inning but in the first three innings they punched out thirteen hits and ran wild on the bases. The Owls had three hits in the first inning. Connor Garland’s double delivered two of the three first inning tallies. Things got worse in the second for Somerset. CM went walk, single, single, single before Somerset starter Kyle Dugas was replaced with his team trailing 5-0 and the bases loaded with Owls. CM added four more runs off of reliever Mitch Jarvis to run their advantage to 9-0 after two innings. Somerset scored its only runs in the third. They loaded the bases with one out and got their first run on Dustin Crawford’s fielder’s choice. Brendan Curran would later score on a wild pitch by Ben Smith. Andrew Rodrigue gets tagged out at third after tripping over second base. 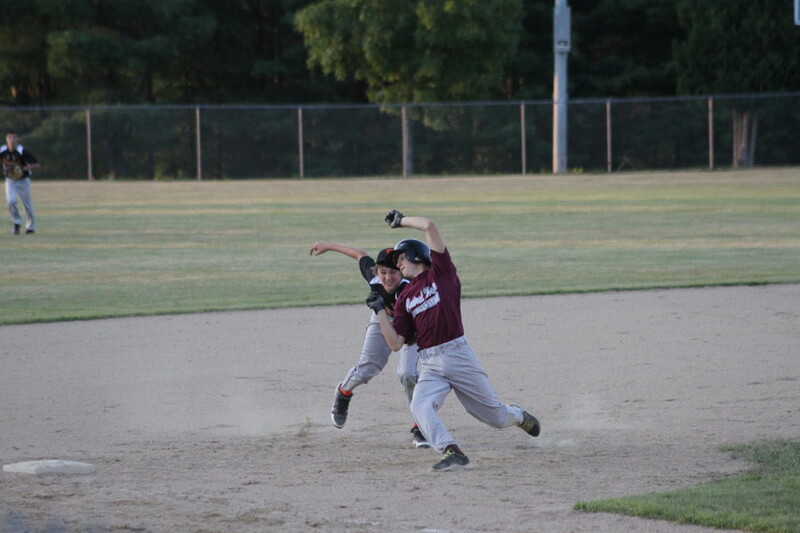 CM built their margin to ten runs in the third inning. Three straight hits followed by a sacrifice fly (Connor Garland) and a double (Andrew Rodrigue) did most of the damage. 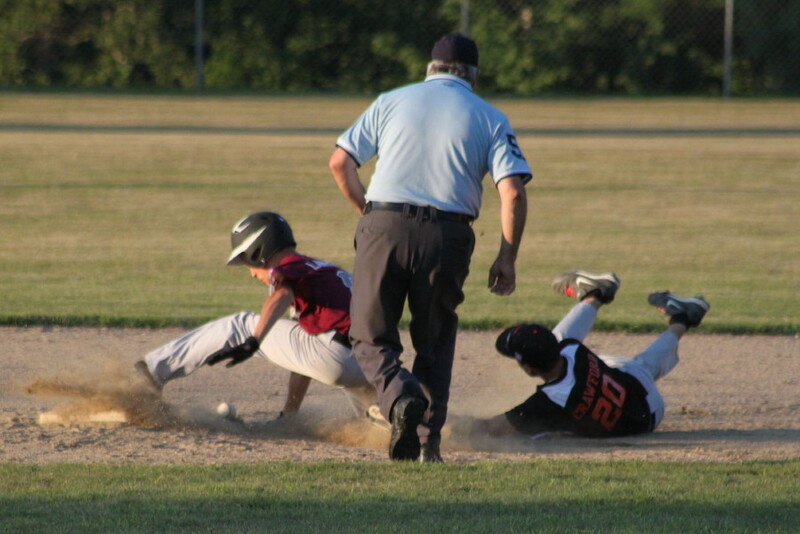 Andrew was thrown out at third after he tripped going around second. 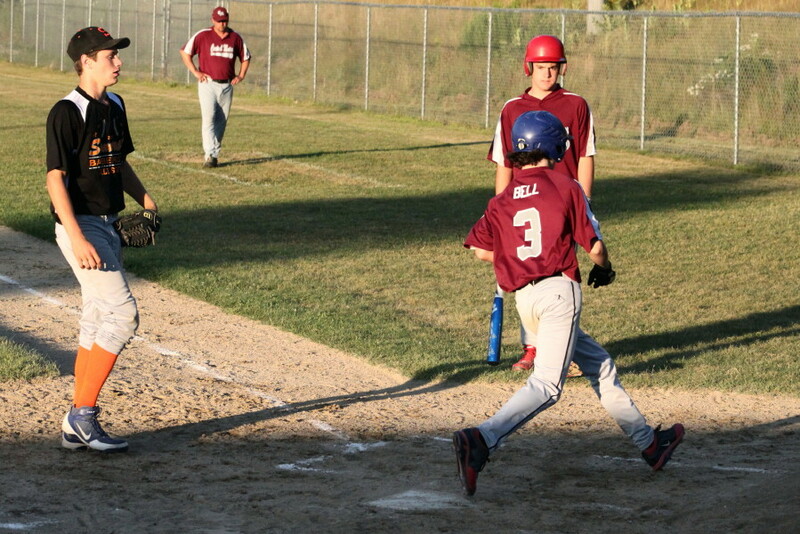 Andrew paced the CM hitting attack with three hits. Connor Garland drove in three runs. Brandon Nale, Ben Smith, Sam Bell, and Curtis Martin had two hits apiece at the top of the Central Maine batting order. Mike Berry, Will Stinson, and Mason Oakes had the hits for Somerset. Isaac Witham was hit by a pitch in the third inning and never returned. Somerset falls into the loser’s bracket and will be back in action Saturday night (7PM). A win there will get them a rematch with Central Maine on Sunday afternoon (4PM).